I recently read The Bird Watcher by JJ Toner and I enjoyed it immensely. I loved the way he portrayed the reactions of the residents of an Irish village to a stranger who settles amongst them during The Emergency (as World War II was referred to in Ireland at that time). With this story fresh in my mind and my own interest in World War II, I was interested to hear that JJ Toner released a World War II novel, The Black Orchestra, in January. Anyone who knows me won’t be surprised to hear that it wasn’t enough for me to just add the book to my reading pile – I had to ask JJ to answer a few questions about the novel. Welcome JJ. Let’s get started, shall we? JJ: The Black Orchestra is my third published novel. I have it billed as a spy thriller on Amazon, but it’s also a coming-of-age book and a bit of a love story. Kurt Muller works as a signalman for the Abwehr (military intelligence) in Berlin. He speaks fluent English,having studied for his degree in Trinity College Dublin. The book opens with Kurt being questioned by the KRIPO (criminal police) about the death of a colleague. The police quickly dismiss the death as suicide; Kurt has his doubts. As the story unfolds he stumbles across various other clues that eventually lead him to the German resistance movement. At the same time he begins to recognize the evil that is the Third Reich. JJ: I read a book (Irish Secrets by Mark Hull) about German spies in Ireland during World War 2. To a man, they were a comical bunch of incompetents, poorly trained and ill-equipped for their roles. Most of them were picked up and interned within hours of arriving in the country. Their exploits read like a Spike Milligan comedy. I also read about how Admiral Canaris and the Abwehr worked to undermine the Third Reich, and put 2 and 2 together. JJ: I mapped out the main historical events of the early years of the war and stuck to them. You might think this would be like writing dressed in a straightjacket, and I suppose it was, to an extent, but on balance, it provided a structure which helped me to focus. JJ: Apart from Mark Hull’s book and its predecessor, Spies in Ireland by Enno Stephan, I read everything I could find on code-breaking, the Enigma, and Bletchley Park. I also read every WW2 novel I could find – all of Philip Kerr’s Bernie Gunther novels, Christopher Isherwood, Hans Hellmut Kirst, Hans Fallada, Robert Harris, Ken Follett, to name just a few. I found a 1939 map of Berlin on the Internet, and enlisted the help of a young lady living in Berlin today. I began research for this book in 2008, and it was published this year, so you could say the research took about 4 years. Do you use a mixture of historic figures and invented characters in the novel? Which is more difficult to write? Which do you prefer to write and why? JJ: Creating believable Nazis was probably the biggest challenge for me. So much has been written and so many films have been made about the war, I knew it was going to be difficult to avoid painting them (especially the Gestapo) as stereotypes. I put a huge amount of work and research into the locations — Berlin in particular — and one agent that I queried remarked on that. JJ: Being male, I’m definitely better at writing from the male perspective, but I enjoy trying to portray the female point of view. Thanks for answering my questions, JJ. I just have one more – what does JJ stand for? Readers may learn more about JJ Toner, his novels, and his blogs by visiting his web site, Facebook (JJTonerYA) or Twitter (@JJToner_ya). 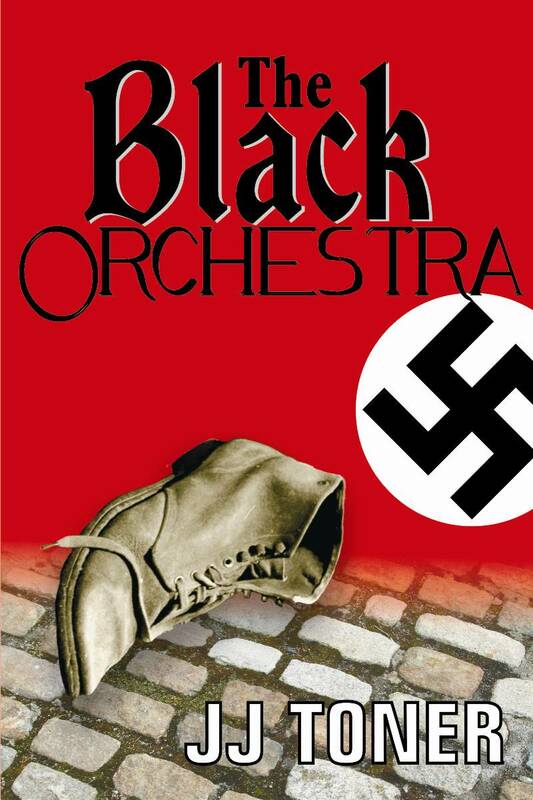 The Black Orchestra is available on Amazon.com, Amazon UK, Smashwords, iBooks, and lots of other eReaders. 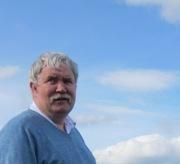 About JJ Toner: JJ’s background is in Mathematics and computing. After 35 years developing computer systems all over Europe, he dropped out and began writing. He’s been writing full time since 2007 and has amassed countless short stories and 5 novels, 3 of which he has published as eBooks for the Kindle. This entry was posted in March 2013 and tagged historical fiction, Irish authors, Irish writers, JJ Toner, Nazi Germany, second world war, The Bird Watcher, The Black Orchestra, World War II. Bookmark the permalink. Thanks for having me on your blog, Dianne. I seem to have missed that last question: JJ Toner is a pen name. I’m not sure what JJ stands for.